I am happy to announce the following great classes with Jan Randolph. First, Colors of Distress Inks, a great introduction to distress inks where you will learn several techniques in how to use these inks and ink pads. 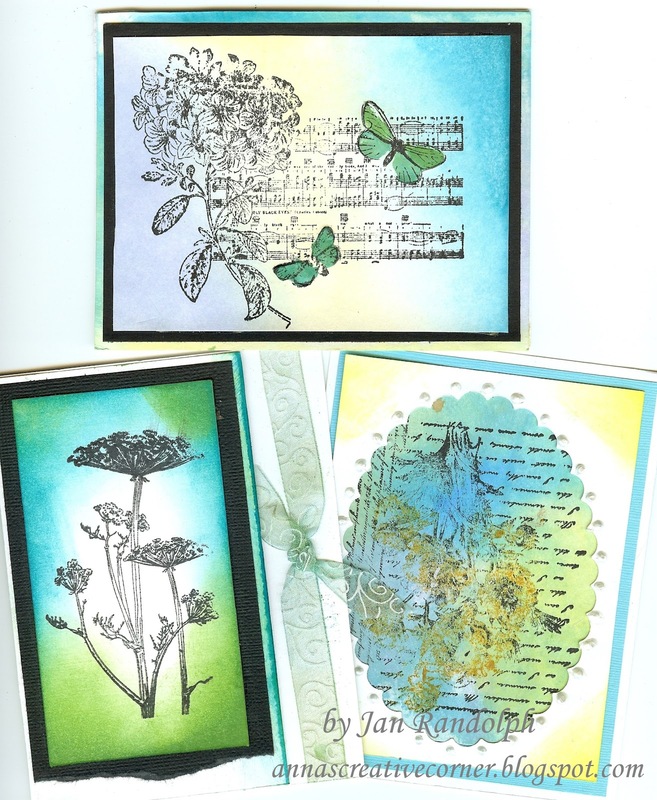 And here is a sample of the cards you will make in this class. It will be offered twice: Friday, October 12 at 1PM and on Saturday, October 20 at 11AM. Here you will make beautiful backgrounds with inks and Impression Obsession stamps and then stamp the acetate and put the card together. These cards of course look so much better in real life! Believe me, you will not be disappointed! And as a bonus, you'll even create a tag!!! 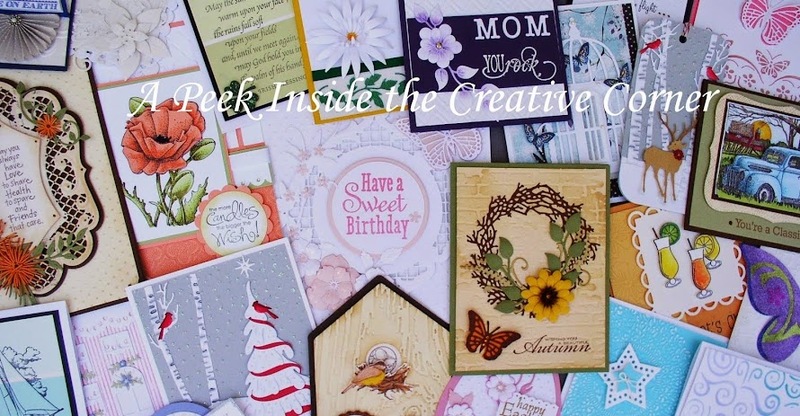 This class will be offered on Friday, November 16 at 1PM and on Saturday, November 17 at 11AM. 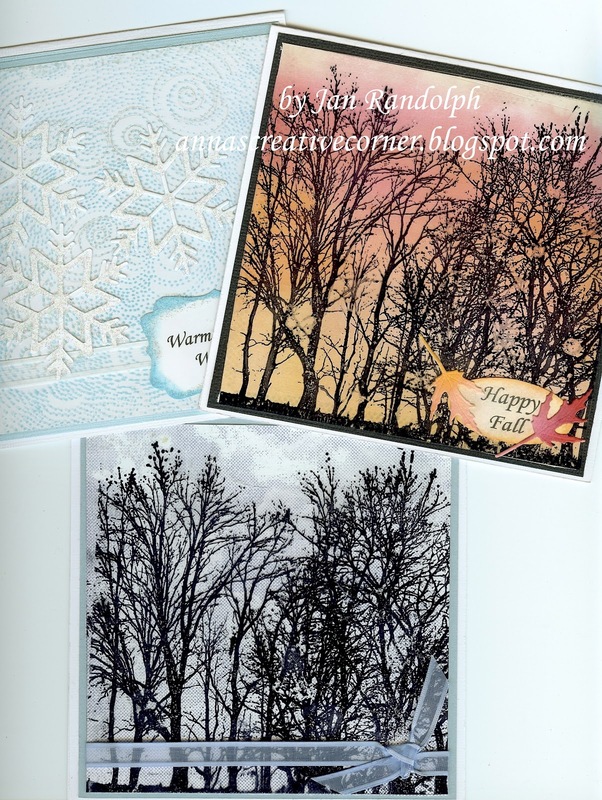 And in December, you'll still get a chance to join Jan and make Christmas cards! 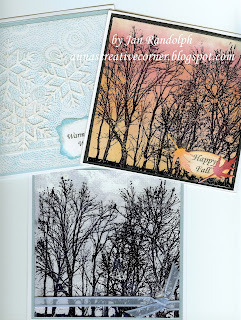 These cards are made with Impression Obsession background stamps and are quick and easy, yet very pretty!!! Sign up today for Saturday, December 8 at 11AM. Perfect time for those last minute Christmas cards!